A vibrant, fruity twist on the classic martini. Add vodka. 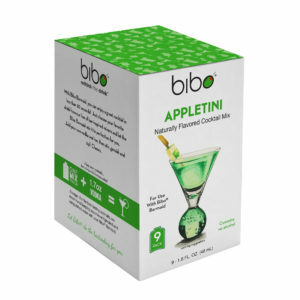 Just add the appropriate spirit to mix up a perfect cocktail every time with BIBO Cocktail Mix Pouches. Each pouch contains the right amount to make a single serving, and make you the most impressive host. This set includes two 9-count boxes. Use at least one #hashtag e.g. #bibobarmaid should make a #product or #feature or #flavor.